That’s one hot kiss. Literally. Warning: Lots of spoilers for “Batwoman #23”! 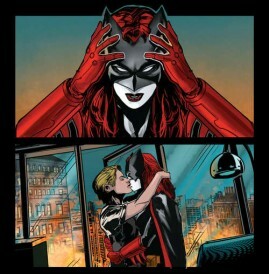 When Kate Kane proposed to Maggie Sawyer all the way back in “Batwoman #17,” all the people who love all the awesome things were ecstatic. 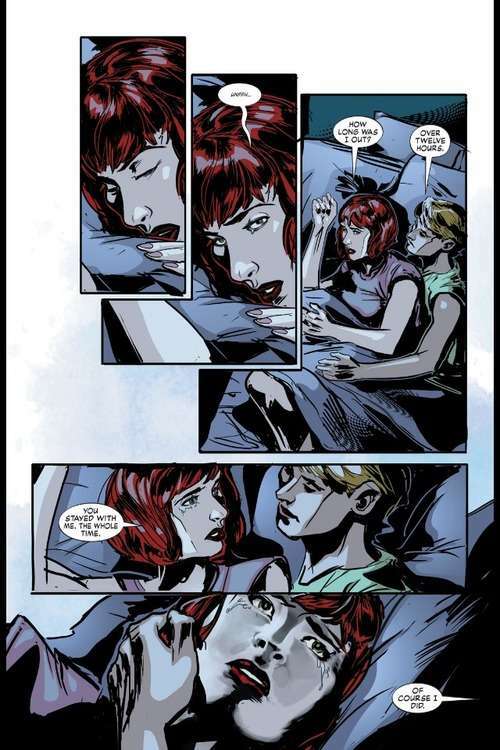 It was the first lesbian wedding proposal in the history of mainstream comics, and since Batwoman had been right about foreshadowing the overturn of “Don’t Ask, Don’t Tell,” we were buoyed by the thought that she would also be right about foreshadowing the overturn of DOMA and Prop. 8. (She was.) But one thing was missing: Maggie’s answer. Sure, we saw in later issues that Maggie and Kate had moved in together, that they were engaged, that Maggie was trying to reconcile Kate with Batwoman, but we didn’t get that definitive yes, that romantic punch to the gut we were looking for — until this month. Posted August 27th, 2013 & filed under Comics.